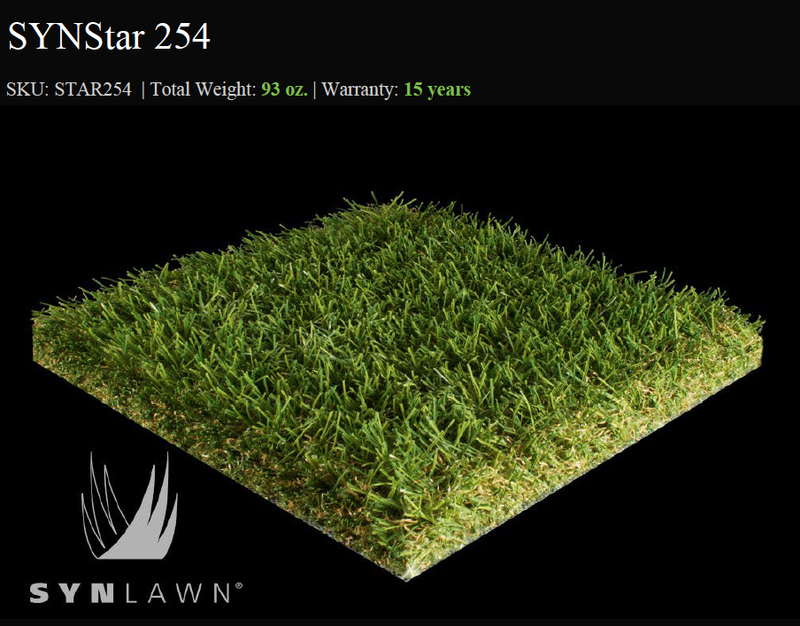 SYNStar 254 incorporates multi-colored apple green grass blades with tan thatch to enhance its natural beauty. Manufactured using soft, polyethylene yarn blades and polypropylene thatch for the ultimate in comfort and resiliency. Backed with a manufacturer warranty up to 15 years for a long-lasting, lush, beautiful landscape that will last for years. Recommended for medium foot traffic areas. 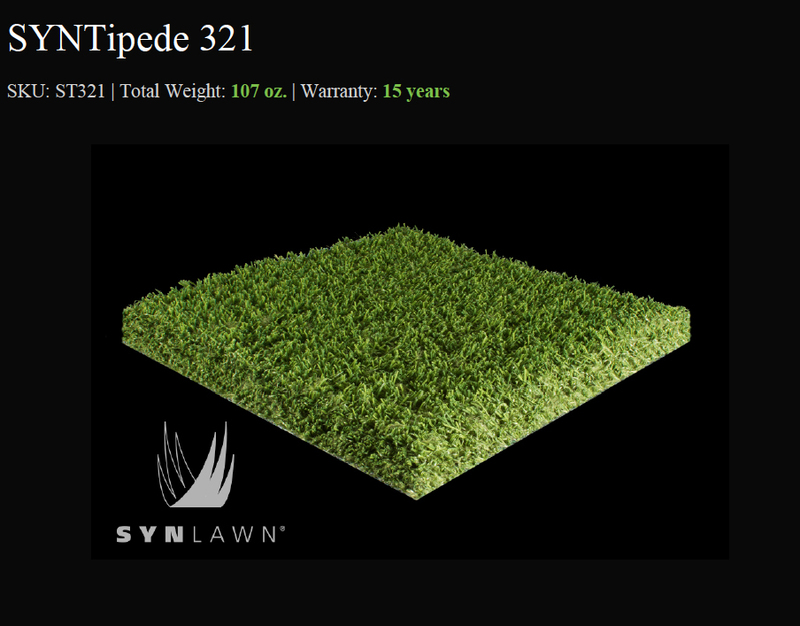 SYNTipede 321 is a revolutionary artificial grass product incorporating dense, multicolor turf fibers and thatch for added strength and resiliency. Manufactured using advanced ‘Omega’ shaped grass blades with HeatBlock Technology for low surface temperatures, for added comfort in any season. Recommended for high traffic pet areas, playgrounds and landscape applications. 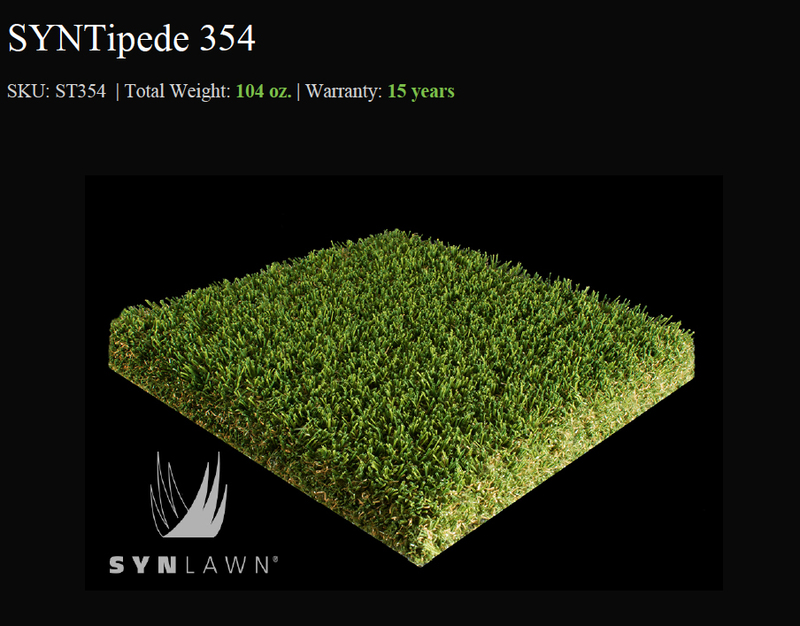 SYNTipede 354 is the ultimate in hybrid synthetic grass technology. This cutting-edge artificial grass product incorporates the latest technology in every aspect of design and manufacturing combining beautiful multi-colored ‘Omega’ shaped grass blades with our exclusive HeatBlock Technology for superior strength and lower surface temperatures. 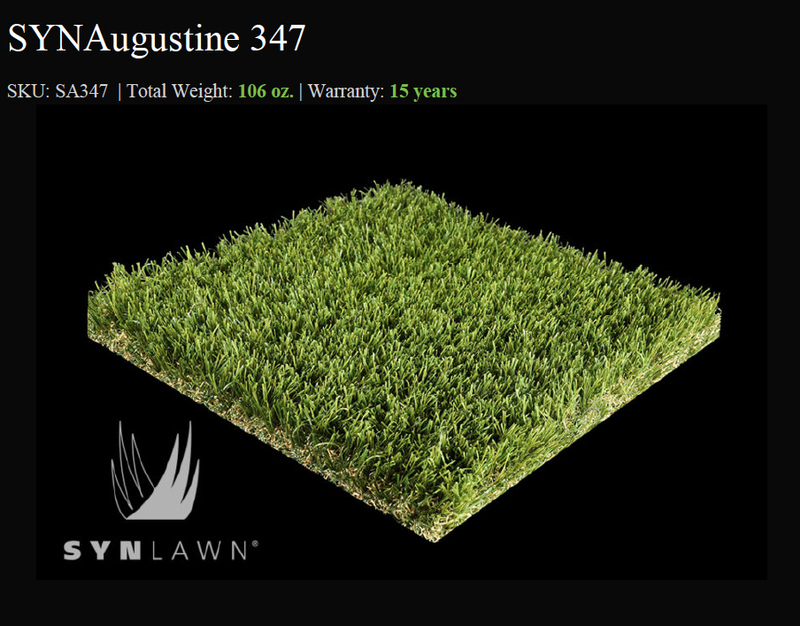 SYNAugustine 347 Combines soft tri-colored Omega-shaped grass blades with thick tricolored thatch for superior strength with a realistic feel and natural appearance. Our softest, most comfortable variety of grass to date. The ultimate in natural appearance, SYNFescue 354 combines multi-colored ‘Omega’ shaped grass blades with HeatBlock Technology and EnviroLoc Backing Technology for a lush, natural appearance that also offers superior dimensional stability, outstanding durability and low surface temperatures. 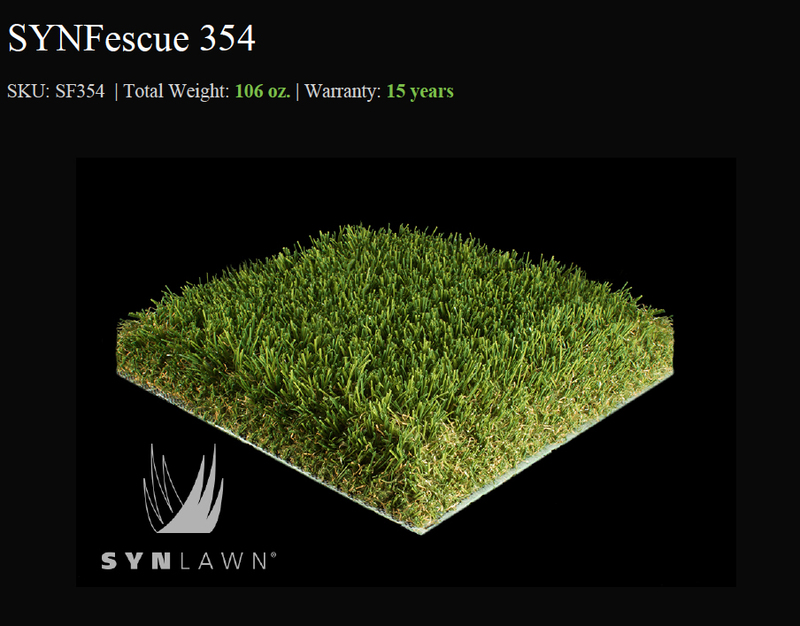 Choose SYNFescue 354 for ultimate resiliency, performance, and a beautiful landscape that will last for years. 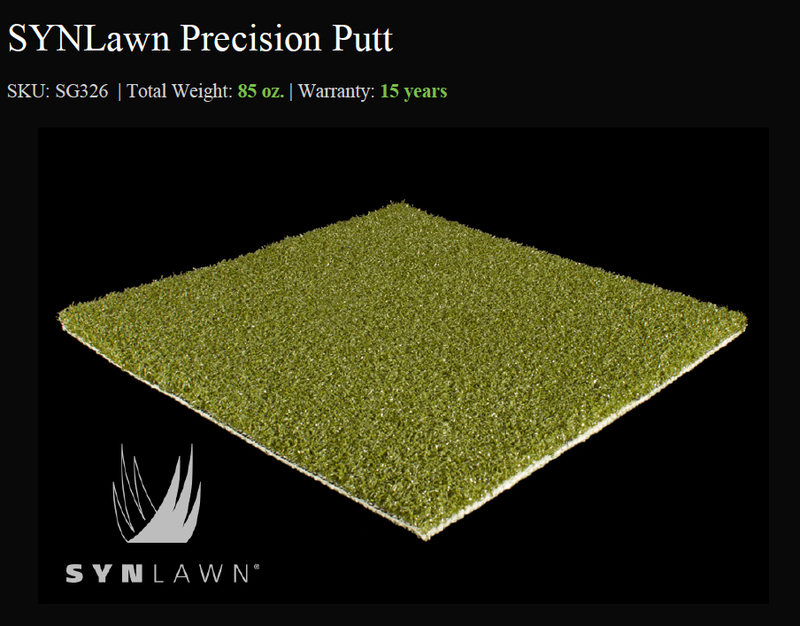 SYNLawn Precision Putt offers golfers the same level of performance expected from a professional golf course, this synthetic putting green delivers the most realistic experience available. Made using 100% Nylon fibers in summer green for a natural appearance that will last for years to come in all climates. Recommended for the advanced golfer for consistent putting and chips.